The Ashley Ferry Boat Landing in Claremont has been cleaned of accumulated river silt. 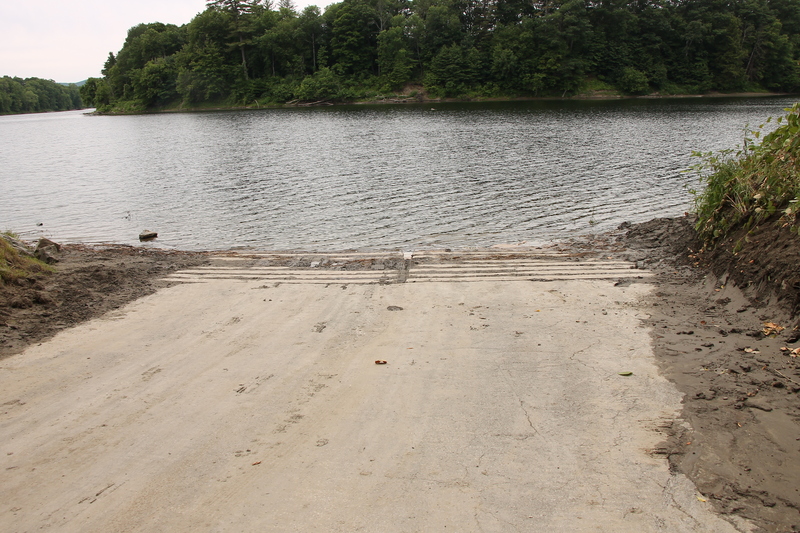 During the closure, the NH Fish and Game dredged the ramp area to clear the site. During the three days of work, a turbidity curtain (a plastic shield placed into the water) was installed and remained in place, completely blocking the end of the ramp. This equipment traps silt and clay floating in the water as a result of the dredging, preventing it from entering the main course of the river (Bill Binder photo).